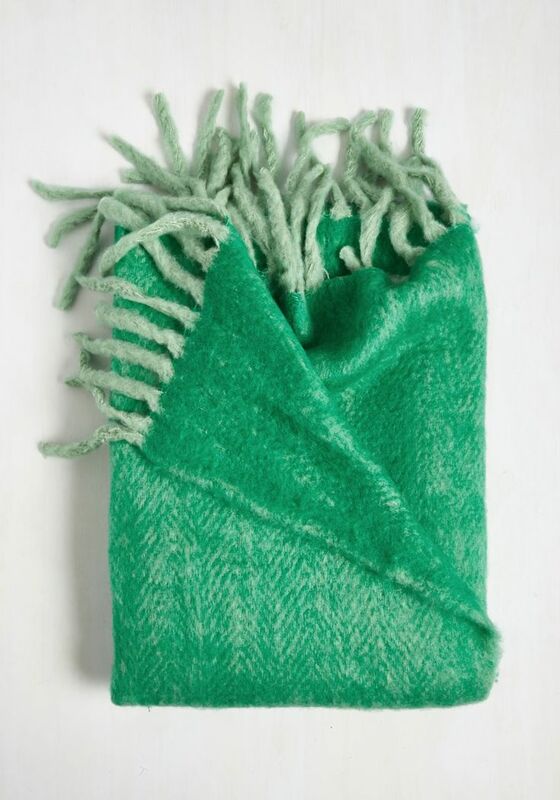 Wake up to the sumptuous comfort of this Green Throw Blanket by Karma Living. 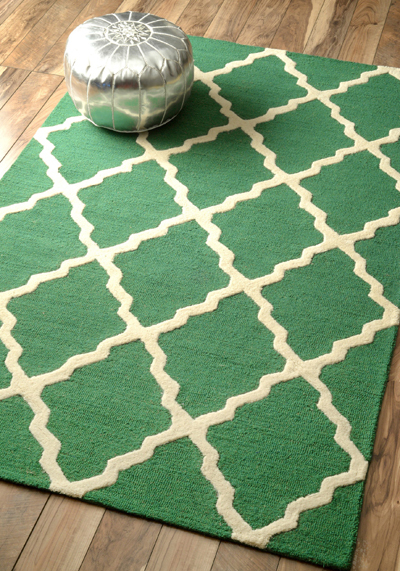 Features a jade green hue, as playful fuzzy fringe, and ultra-touchable fabric. $69.99. Buy here. 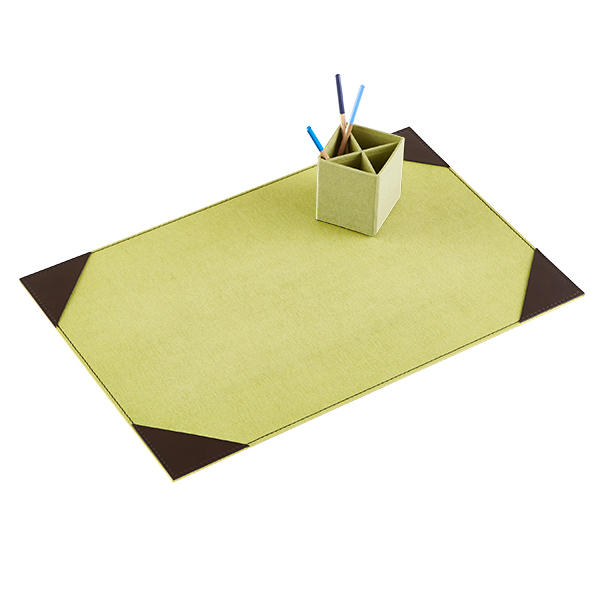 Protect your work surface and add a touch of literary elegance to your office with this Green Bigso Marten Desk Pad. The textured exterior looks like canvas, while the real leather corners secure papers while recalling the style of fine, leather-bound classics. $17.99. Buy here. 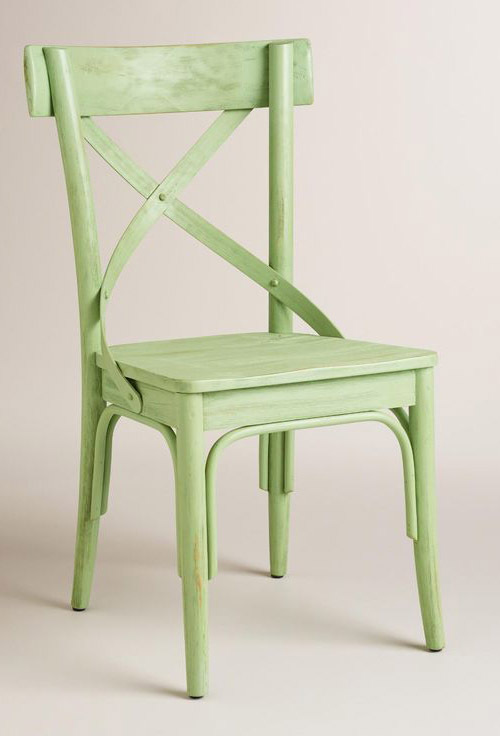 In a vibrant, vintage-inspired color and design, these Light Green French Bistro Dining Chairs are reminiscent of seating you’d find in a Parisian patisserie. 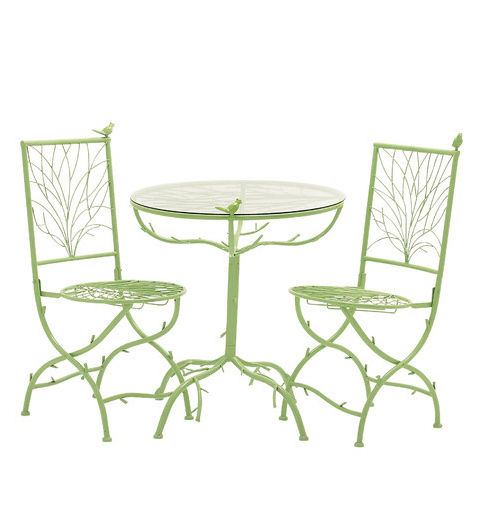 They’re crafted of acacia and rattan wood with swooping “X” detailing and a flat, wide seat. Set of 2. $259.98. Buy here. 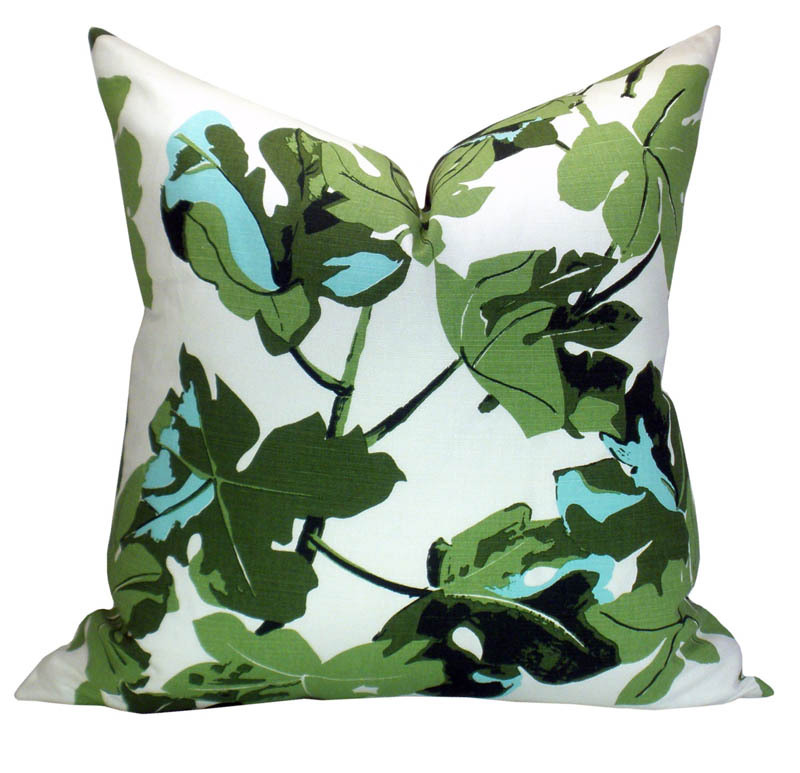 This stunning Peter Dunham Textiles Fig Leaf Pillow Cover is made from high-end designer fabric and features various shades of chartreuse green, aqua, and white. A perfect statement for a bed or sofa. $74. Buy here. 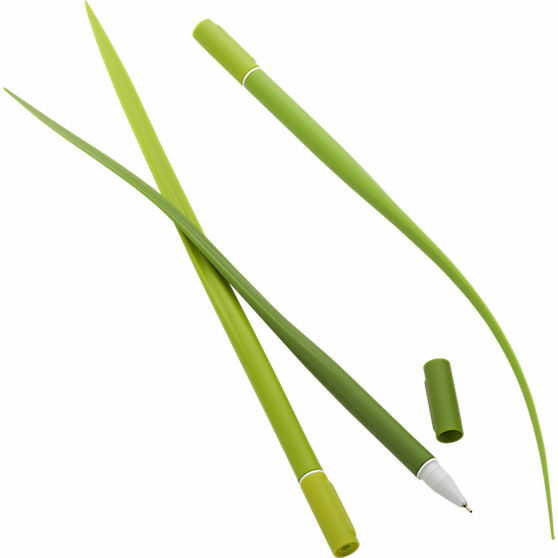 This natural-looking blade of grass Grass Pen scribbles your thoughts in soft-touch silicone with an ultra-fine black ink writing tip. $4.95. Buy here. 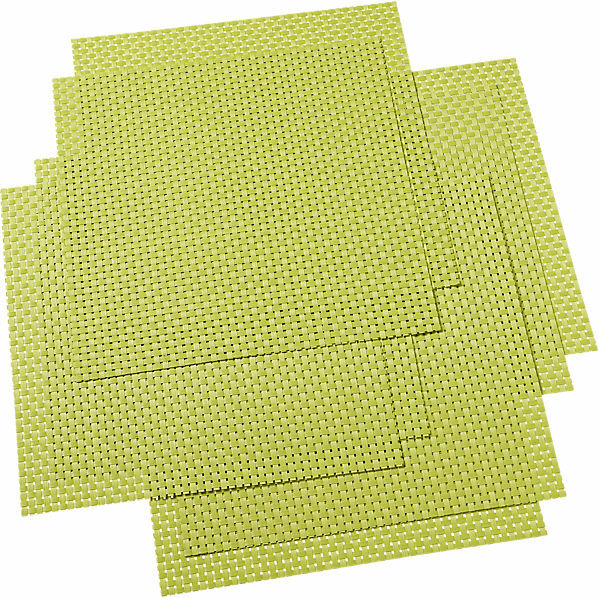 This waterproof, fade-resistant PVC Green Basketweave Placemat Set is perfect for indoor or outdoor use. Just wipe clean with soap and water. Set of 8. 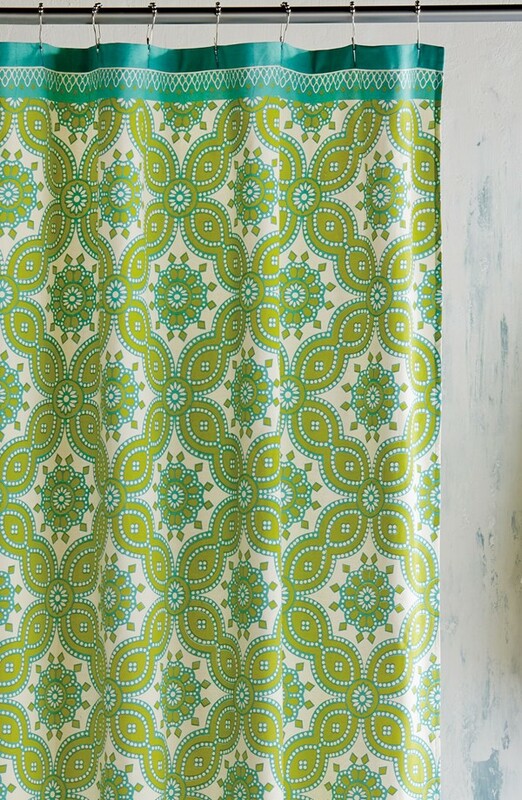 $23.60 Sale $21.95. Buy here. 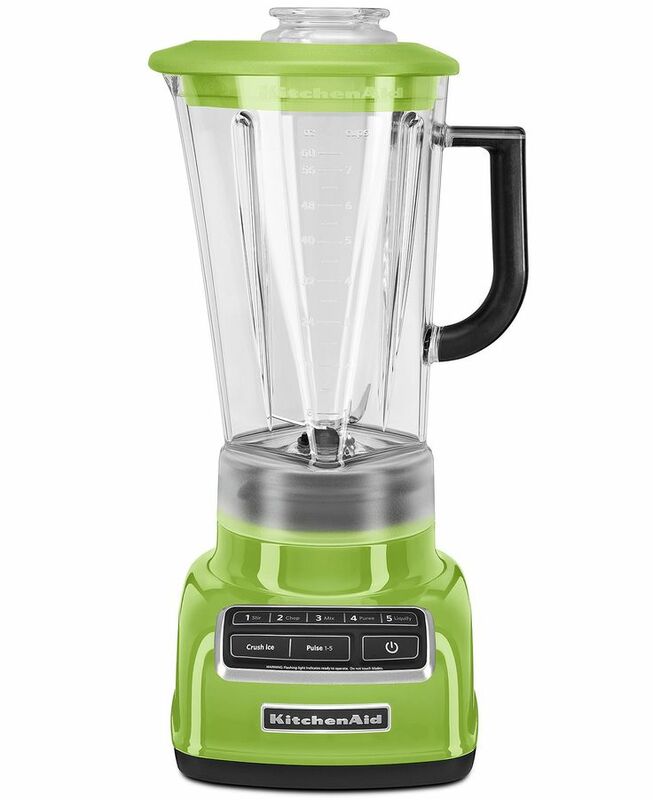 With 5 speeds, Intelli-Speed Technology that senses density changes & maintains premium power & a stainless steel blade for wet & dry blending, this KitchenAid Diamond 5 Speed Blender in Green Apple takes on the toughest & most stubborn ingredients with precision & ease. $189.99. Free shipping. Buy here. 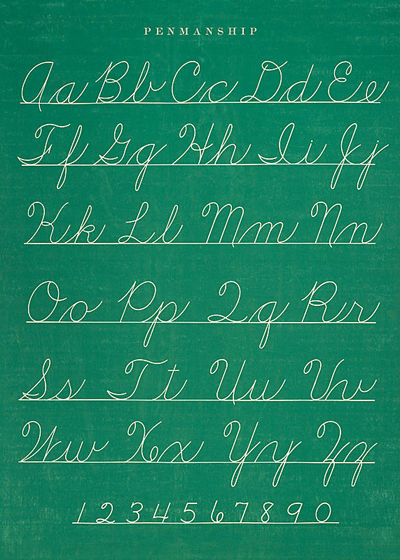 This charming Cavallini Penmanship Decorative Paper conjures up childhood memories of practicing perfect penmanship. A sweet design that can be framed as art for a child’s room, used to gift wrap a special package, and accent all kinds of craft projects. $3.95. Buy here. 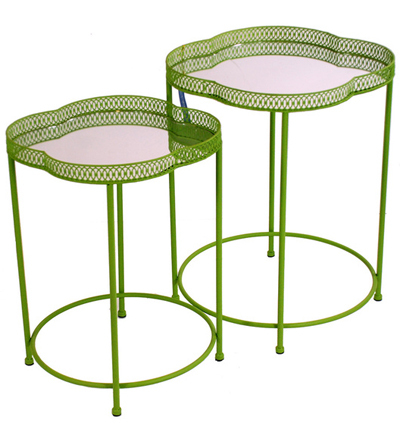 Reminiscent Moroccan style arts and crafts, this set of two Green Moroccan Style Tray Tables is made of metal painted a soft shade of green. The tabletops are finished off with mirrored glass. 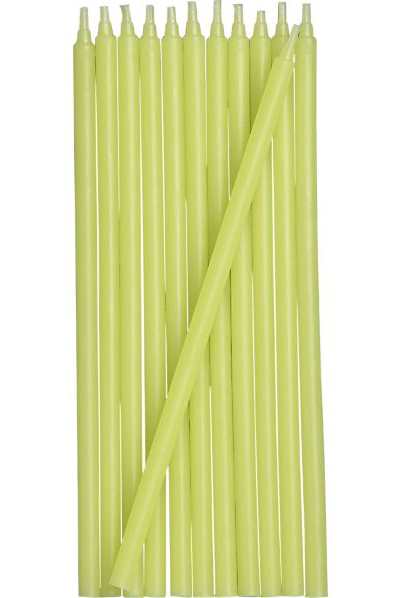 $194.99. Buy here. 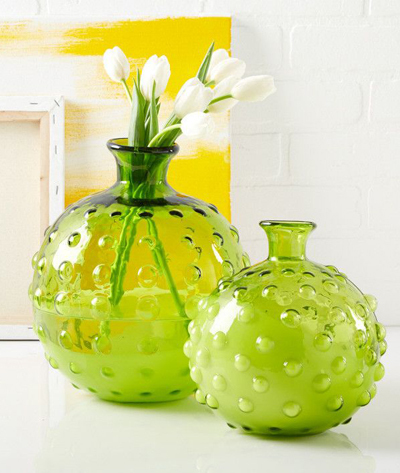 These hand-blown glass Green Hobnail Decorative Vases by Tozai add a fun pop of color and vintage-inspired style to your home. Set of 2. $160. Buy here. On the inside: Cool dusk hues. 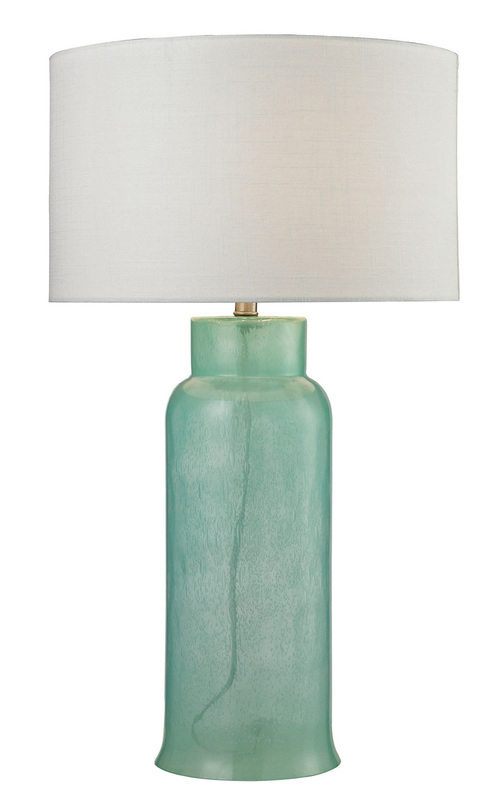 On the outside: A smooth, neutral handcrafted finish. 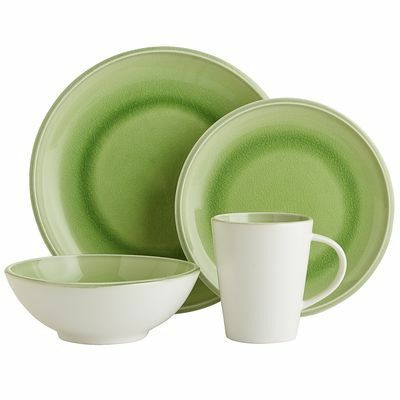 All together, this two-toned glazed stoneware Jade Dusk Dinnerware is designed with layering in mind. $6.95-$8.95. Buy here. 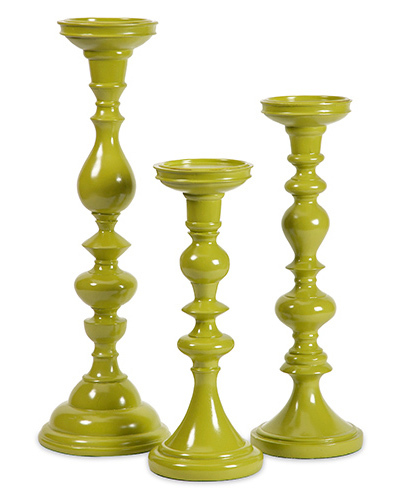 Tall, thin and tapered, this long-burning set of 12 Green Party Candles represents a sophisticated take on the traditional birthday candle. $2.50. Buy here. 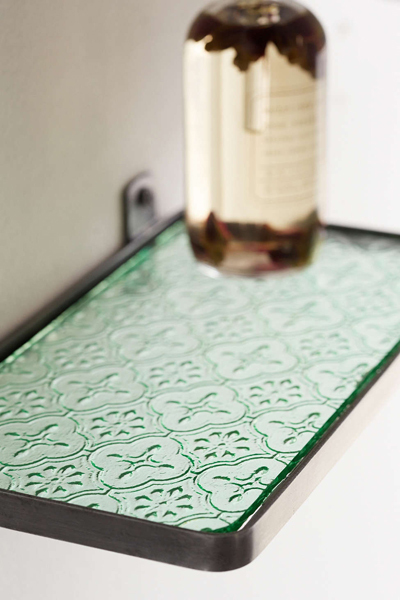 This petite Pressed Glass Shelf is crafted from jewel-toned glass. Trimmed in metal for a modern touch. 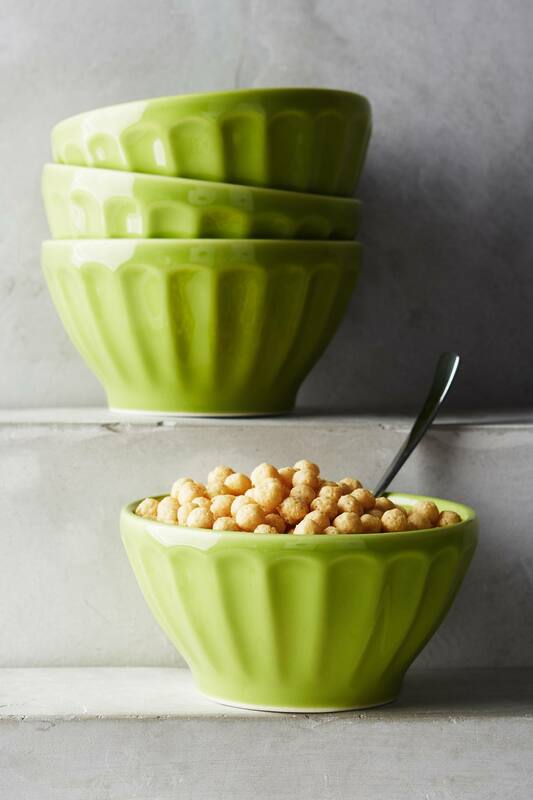 Pre-drilled holes for easy hanging in any living space. $18. Buy here.